Aerial photographs by courtesy of The Channel Coastal Observatory . Click or double-click on images for full-size high resolution versions! You have landed on the south coast of this island, not exactly a desert island, and intend to investigate the nature of the strata, their origin and approximate age. A good cliff section in a stony bay shows beds of debris with wedge-bedding dipping seaward. You immediately notice that this brown material is very poorly sorted. Your first reaction is that it looks like a debrite. The dip seems close to the natural angle of repose, so you soon suspect that it is depositional and not tectonic. Another clue is that the wedging thins out up-dip. In some respects it resembles a huge scree deposit. You notice that there an vertical intrusion extending up from the below the beach, and this maintains a fairly constant width. It has a knee-bend some way up from the beach. You walk up to this and have a closer look. The grey colour, the type of jointing and the manner in which this cuts across the country rock enables you to quickly recognise just what this is! The grey rock seems fairly fine grained. An unusual aspect for an intrusion like this is the presence of vesicles. Obviously the pressure was rather low, and because they are not filled (amygdales) this rock probably is fairly young. The lack of hard lithification and jointing in the country rock confirms this. The low pressure shows that there was no deep burial, so not much, if any, strata has been eroded away. After this cursory examination we now know just what we are dealing with, but need confirmation and more detailed study. Now write a brief essay on the geology of this locality. Name the rock types present, comment on the chemical composition (and if possible relation to plate tectonics), and probable ages. Reynolds Rides Out on His Grey Horse and Discovers Oil - but - Where? Oil had been discovered in Pennsylvania by the drilling of a well by Edward L. Drake in 1859. It was very much later that Britain was exploring for oil in a totally different region. An impetus were the plans of Winston Churchill to change the British Naval ships from coal-burning to oil-burning. An English financier who had already made a fortune from gold mining, decided to finance oil exploration in a certain region of the world, an empire, for which he obtained (from the emperor) the exclusive rights to all oil, natural asphalt, ozocerite etc., theoretically for sixty years. He did not personally participate in the exploration but formed an exploration company with his name. He sent his geologists and, in particular, his Chief Engineering - G.B. Reynolds (shown above), out on horseback into particularly promising area, within the empire for which he owned the rights. 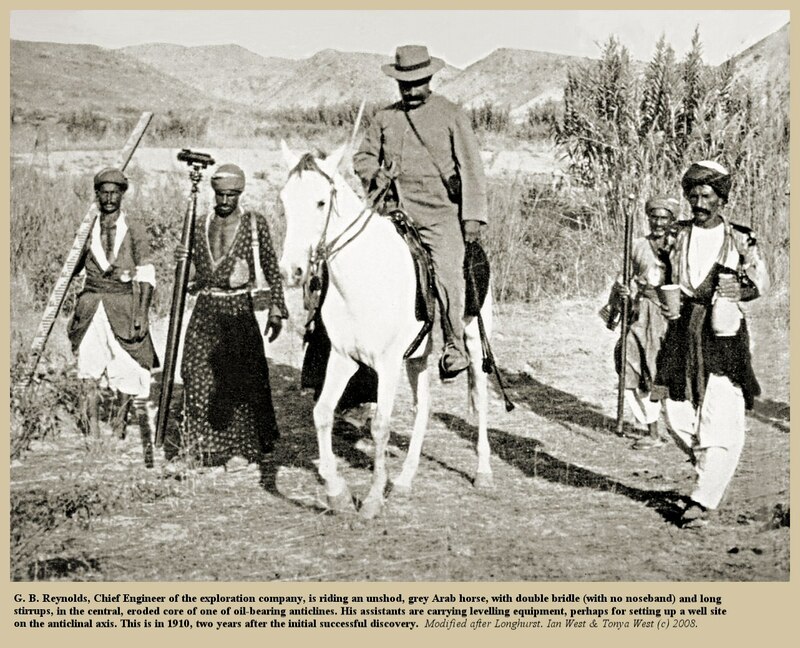 They searched for years in a region was well-known for oil seeps, natural fires and the Zoroastrian religion. 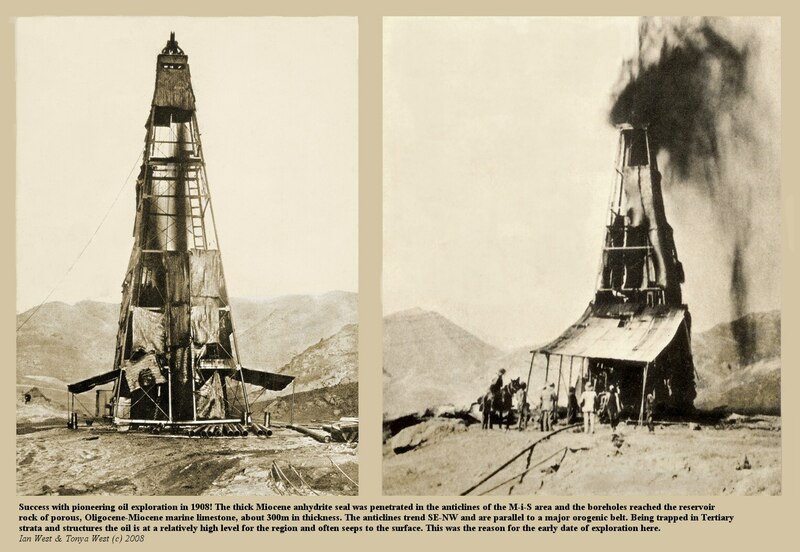 In 1908 the explorers constructed drilling derricks and struck oil, as shown above. Development in the region then became more rapid as a major oil company took over the initial exploration company. Pipelines were constructed over difficult terrain and a major oil refinery was built in the country, near a river and the coast. Then for many years there was continuing and huge export of oil by sea to a new port and oil refinery in South Wales. This was Britain's main source of petroleum and petroleum products. 1. 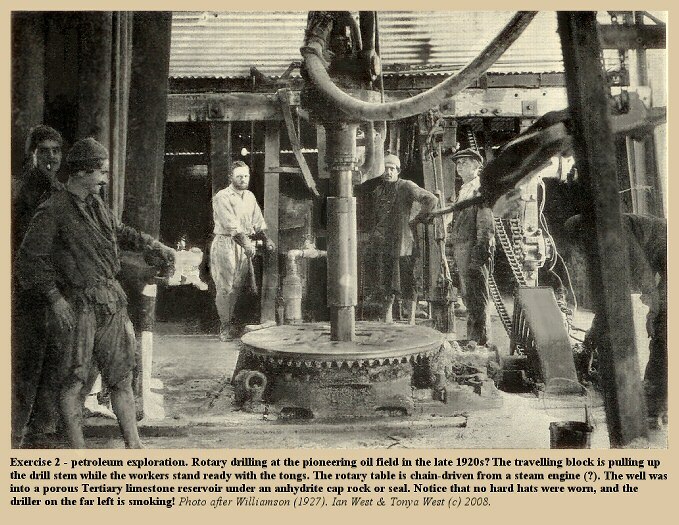 Where is this region of former British oil discovery and production? 2. 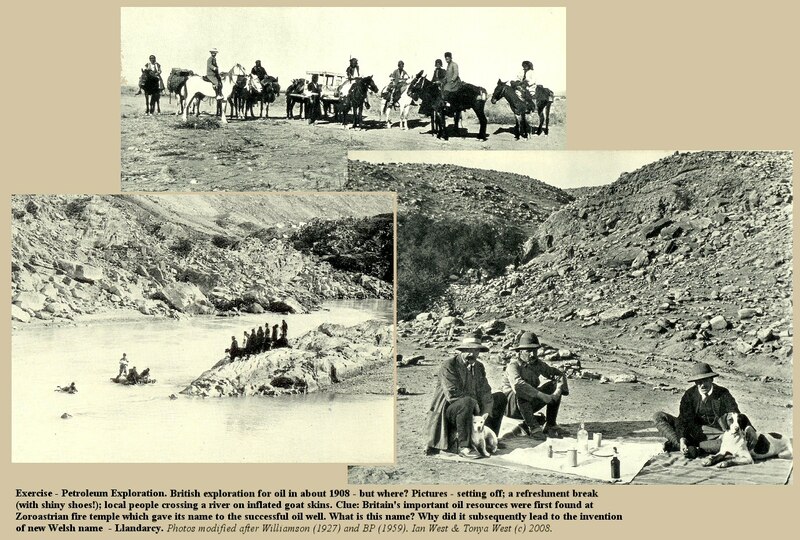 What is the name of the site of the first major oil discovery in the region? 3. What is the name of the Tertiary evaporite seal? 4. 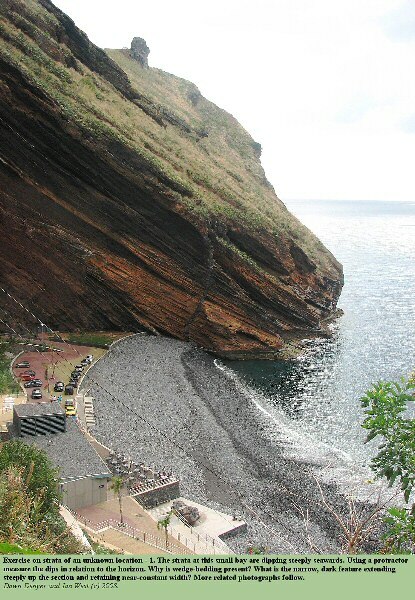 What is the name of the reservoir rock formation? 5. What was done with the associated gas? 6. What was the name of the initial petroleum exporation company? 7. What was the name of the major British oil producing company which took over and operated here until 1951? 8. Why did the initial exploration company turn its attention, at a later date (1936), to Dorset and Hampshire in southern England? The above map is based on a real locality, but it is an old and inaccurate map and it has been modified for the sake of a simple student exercise. It does not show an accurate real situation and there is no indiction that a waste disposal site could be or would be located in this area. It is for training purposes only. For serious investigation of the area commence with the modern Bridport Geological Map, 1:50,000, Sheet 327 and read the BGS Memoir, Geology of South Dorset and Southeast Devon and its World Heritage Coast. After this introductory reading, it would be necessary to obtain technical specialist data from BGS and water companies, much of which is not publicly available. Students using the above map should be able to visualise the topography of the area and the geology of the area in three dimensions. Dips and strikes and fault structures can be easily seen and easily visualised. It is obvious which stratal units are permeable and which are not. If this information is considered by mental visualisation there is no need to make any drawings or constructions. The approximate thicknesses of impermeable clays at each locality can be visualised and places with permeable or only thin impermeable strata should be avoided in case of failure of protective barriers against leakage of leachate (undesirable fluids seeping from the waste tip). The map does not show potentiometric contours or flow lines but in general terms they can be visualised from the topography, once the geology has been understood. None of the sites are ideal but some are better than others. Be sure to consider conservation and environmental aspects, including the Jurassic Coast World Heritage Site. The problem map is simple and can be answered verbally within twenty minutes by a student with basic geological training. An inexperienced student, or someone lacking in 3-dimensional imagination, might have to use graph paper and draw sections. This would require much more time, perhaps about an hour. It would be good to follow this exercise, based on old and hypothetical information, by a study of the lastest, modern BGS geological map of the area, Bridport Sheet 327 (hint - look at the Kellaways Formation). Issued by the British Government, Department of Science and Arts (responsible for the Victoria and Albert Museum and for technical education), who also set the syllabus for Geology (Subject XII). The papers were set at the examinations held by the Science and Art Department. MAY, 1889. You are permitted to attempt eight questions only. 11. Describe one Limestone of the British rocks, mainly of Chemical origin, and one of Organic origin. Only six questions may be attempted . Only six questions may be attempted. You are permitted to attempt five questions only. The value attached to each question is the same . (b) The characters exhibited by it under the microscope. (c) Its mode of occurrence and geological age. (d) Its mode of formation. BR> 2. (a) State the characters which distinguish basalt. (b) How can it be shown that basalt is made up of several different minerals? (c) Give the names of the minerals found in basalt. 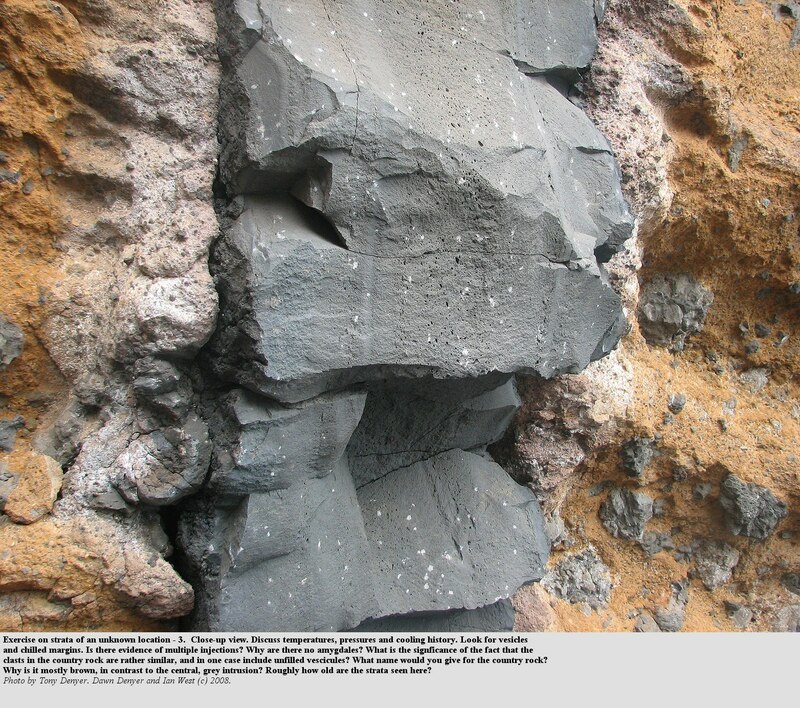 (d) How has basalt been formed? 4. 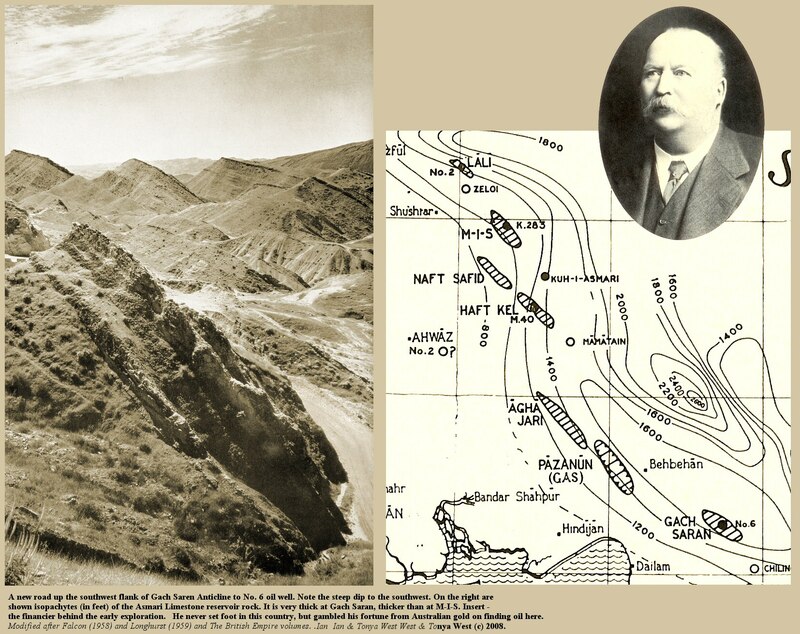 (a) What is meant by the geological term "fault"? (b) Explain the "throw" and "hade" of a fault. (c) Draw a section to illustrate a normal fault. (d) Draw a section to illustrate a reversed fault. 5. (a) Explain what is meant by an "anticlinal" [anticline], and draw a section to illustrate one. (b) Explain what is meant by an "outlier", and draw a section to illustrate one. 6. (a) How are springs formed? (b) What are mineral springs? (c) What are hot springs, and where are they usually found? 7. (a) What are the "Coal Measures", and to what great system of strata do they belong? (b) Name the chief varieties of sedimentary rocks usually found in the Coal Measures. (c) State the formations usually found respectively above and below the Coal Measures. (d) Do the Coal Measures sometimes lie on different formations? If this is the case how do you account for the fact? what would you state as to the group of plants or animals to which they respectively belong, and the beds from which they must have been originally derived? (d) If you were told that all three fossils were found together in the same pit, how would you account for the fact? You are permitted to attempt five questions only. The value attached to each question is shown by the number in brackets at the end of each . (a) The chemical composition of Rhyolites. (b) The minerals which occur in Rhyolites. (c) The difference between Rhyolites and Granites. (d) The difference between Rhyolites and Andesites. 5. (a) To which of the great geological eras do the Jurassic, Triassic, and Cretaceous systems belong? Place them in their proper sequence. (b) Give the name of a Jurassic echinoderm, a Triassic echinoderm, and a Cretaceous echinoderm. (c) Give the name of a Jurassic cephalopod, a Triassic cephalopod, and a Cretaceous cephalopod. 6. (a) Of what different kinds of materials are volcanic cones built up? (b) Draw a section showing the internal structure of a.scoria or "cinder" cone. (c) How is the crater of such a cone formed? 7. (a) In what respects do veins and dykes differ from one another? (b) What kind of rocks are found forming veins and dykes respectively? 8. (a) How does gneiss differ from granite? (b) How does a slate differ from a shale? (c) Name three minerals commonly found in rocks altered by contact metamorphism. 22. In what respects do the rocks, in each of the following pairs, respectively resemble one another and differ from one another? (c) Oolite and Statuary Marble. (d) Common Coal and Anthracite. (a) False-bedding [cross-bedding or cross-stratification]. 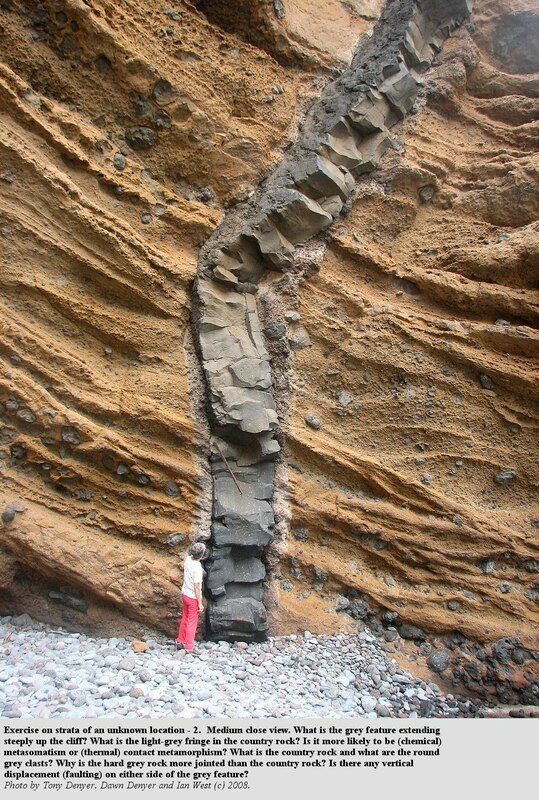 (c) How would you distinguish between False bedding [cross-bedding] and Unconformity? (d) Explain what is meant by "overlap". 24. Explain the differences between interbedded and intrusive volcanic rocks, and describe the tests you would apply in order to distinguish one class from the other. 25. State the grounds for the belief that the cleavage of rocks has been produced by pressure. 27. State what you know concerning the chief divisions of the British Cambrian strata, and the fossils which they contain. 28. What are the chief argillaceous formations in the British Jurassic series [System], and by what fossils may each be distinguished? Name the other strata which separate these great clay formations. You are permitted to attempt five questions only. The value attached to each question is shown in brackets after the question . 21. (a) State the nature of the observations by which the Earth's density has been determined. (b) What are the results obtained by these observations? (c) State the densities of the heaviest and of the lightest rocks forming the Earth's crust. 22. How would you distinguish between the following minerals as seen in thin sections under the microscope? (a) Orthoclase felspar and plagioclase felspar. 24. How do you suppose the following kinds of rock to have been formed? (a) The Wealden formation [Group] was deposited in fresh water. 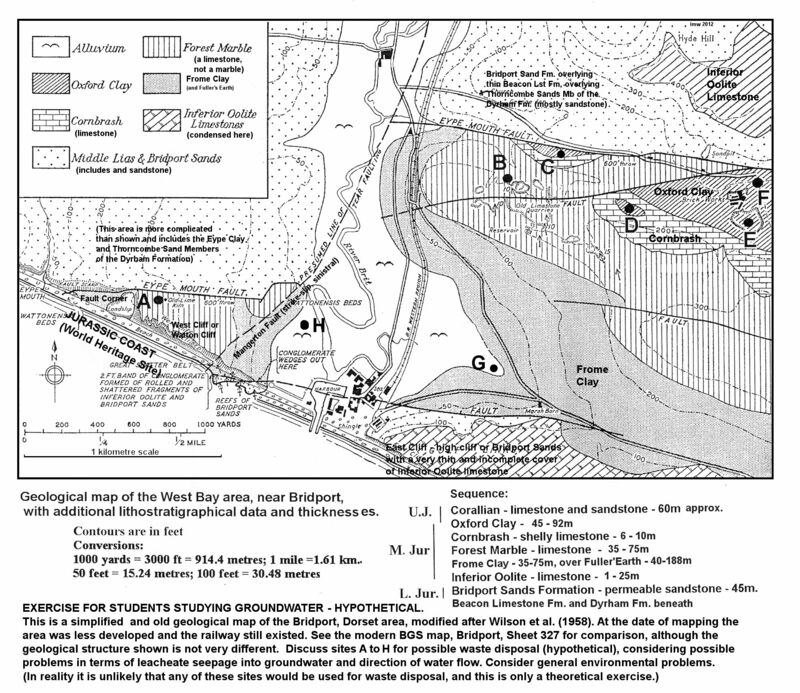 (b) The Wealden formation [Group] is younger than most of the Jurassic strata. 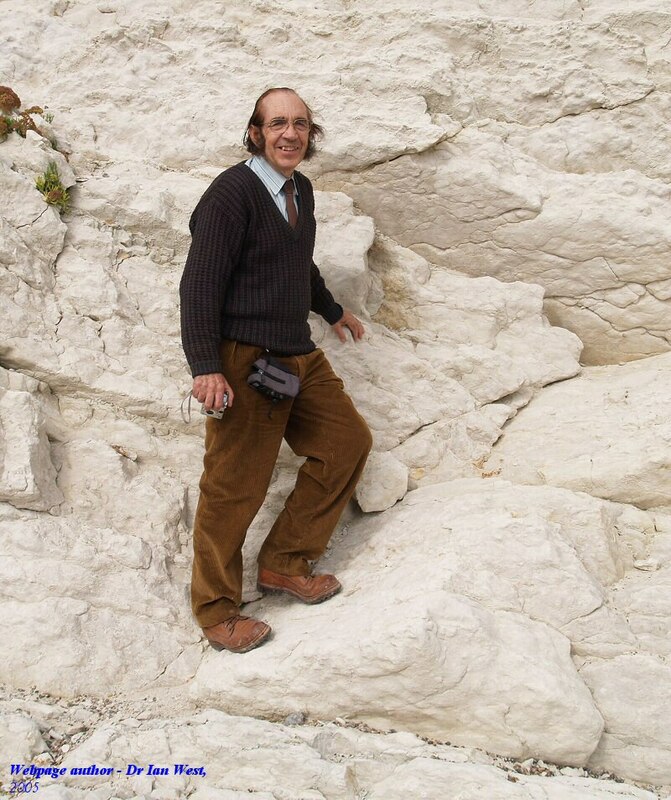 (c) The Wealden formation [Group] is older than the Lower Greensand. 27. (a) In what respects do Plutonic' rocks resemble volcanic rocks? (b) In what respects do Plutonic rocks differ from volcanic rocks? (c) State the grounds on which we are able to form a theory as to the origin of Plutonic rocks? 1. What do you understand by the term denudation? 2. Give evidence of the action of subaerial denudation. 3. Explain how glaciers and icebergs are formed. What evidence is there of ice-action in Great Britain. 4. Explain the fact that certain rivers and streams have petrifying properties. 5. What is a glacier. Describe its formation, motion and work. 6. Name the chief surface agencies now altering the configuration of Great Britain and explain their action. By what other surface agenencies has the same area been modified in the past: what traces do we find of these? 7. Write a short account of the action of the sea as a destructive agent, and state what physical features result from a continuance of marine denudation. 8. Describe the process of formation of river deltas, and give examples of the same kind of process having gone on in England. 9. Mention the characteristics that would satisfy you that a deposit has been formed in: (1) shallow water; (2) in fresh water; (3) in a lake. 10. Give a description of the different proofs of the slow rise and fall of the land. 11. Define the terms: dip, strike, anticlinal axis, synclinal axis, and give diagrams illustrating the two latter. 12. Explain the terms: dip, strike, cleavage, fault. 13. What are joints? How are they caused? What is their effect in producing scenary? 14. Point out some important examples of accumulations now forming in consequence of organic agencies, and mention cases to prove that such agencies have operated extensively in former geological periods. 15. What is peat and how is it formed? 16. Give a short account of the action of a volcano. 17. Draw a section of a volcanic cone, and explain its formation. Is there is any relation between the slope of the beds constituting the cone and the dip of the strata below it? 18. What are the following rocks and how have they been formed - chalk, clay-ironstone, conglomerate, lignite, roofing slate, and volcanic tuff? 19. How is it possible to distinguish an intrusive from an interbedded (or contemporaneous) volcanic rock? 20. What reasons are there for believing that a source of heat exists in the interior of the earth? 21. What is meant by the term "plutonic rocks"? 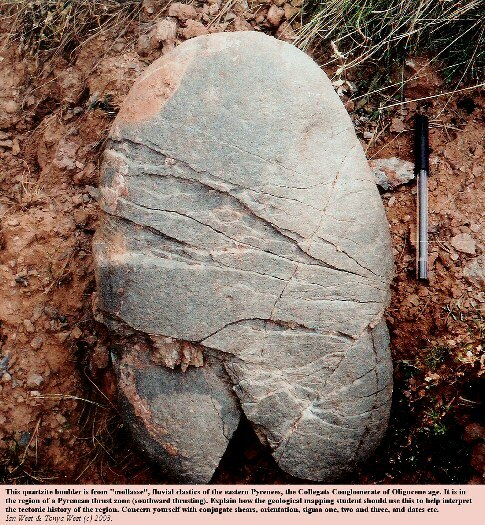 How do such rocks usually occur and what are their chief characteristics? 22. Compare granite and basalt as regards (1) chemical and mineralogical composition; (2) structure and texture; (3) mode of occurrence; and (4) origin. Name two British localities for each of these rocks. 23. Describe the mode of formation of dykes and the appearance which they usually present. Name and briefly describe the kind of rocks of which dykes are composed. 24. What is metamorphism? State the several kinds of metamorphic rock and their several uses. 25. In what respect does sandstone differ from quartzite, shale from schist, and granite from gneiss? Give some explanation of the differences in each case. 26. Describe the following rocks - granite, gneiss, mica-schist, clay slate - and give a short account of their chemical composition and mode of formation. 27. 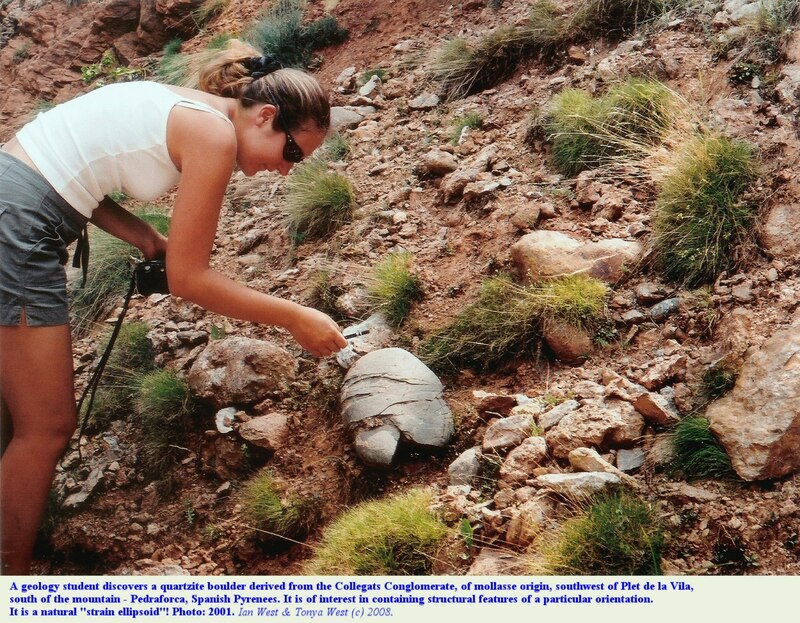 What is the value of organic remains (fossils) in showing the formation of stratified rocks? Mention any modern observations of the process of deposit still going on. 28. Define the terms: cleavage, denudation, conformity, and give examples of their application. 29. What are the various tests by which the relative ages of stratified rocks are determined? How is it possible to ascertain the relative ages of igneous and metamorphic rocks? 30. What do you understand by the following geological terms, and what does each phenomenon tell us concerning the physical history of the district where it occurs - cross-stratification, outlier, thrust fault, raised beach and unconformity? 31. Describe briefly the structure of one or more districts in England, chosen to illustrate the following geological characters - succession of varying deposits indicating varying conditions of deposition, folding, faulting, erosion. 32. Write a short account of the Carboniferous System. 33. Give a short account of the formation of the Carboniferous System, and state the relation of the Coal Measures to other Carboniferous formations in any one locality in England and Wales. Name a few characteristic fossils. 34. In what parts of England are strata of Mesozoic age to be seen? Give a table of these strata, noting the general character of the rocks, and also remarking those which contain (a) abundant marine fossils; (b) fresh-water fossils; (c) few or no fossils. 35. Name in order the formations between the Permian and the Eocene; describe one of them as fully as you can, and point out where, in England, it can be conveniently studied. 36. Describe briefly the succession of deposits in the Jurassic System of the southwest of England. Are any peculiarities in the character of these beds exhibited in Yorkshire? 37. Describe briefly the Chalk rocks of England, their geographical position, their physical characteristics, and the nature of their fossil remains. What light is thrown on the origin of chalk by processes going on at present? 38. To which formations do the following fossils belong, namely Gryphaea, Belemnite, Calamite, Micraster? 39. Give a short account of the general aspect of an ordinary Silurian fauna of England, and contrast it with that of one of Cretaceous age. 40. From what indications would you infer the former presence of glaciers in a country? Where are such indications seen in the British Isle? 41. In what respect does marine differ from subaerial denudation? To which agency are inland escarpments due? On what reasoning does your answer depend? 42. One bank or valley-slope of a winding river is usually steeper than the other. Draw a diagram illustrating this point, and explain how the difference in the slope is caused. What arrangement of strata is necessary for the production of a waterfall in a river's course? 43. What do you understand by a permeable formation? Give instances in England. 44. Explain the origin of springs. What evidence is there of the relation of thermal springs to volcanic action? 45. What are the following, and how do they originate - barrier-reefs, deltas, earth-pillars, landslips, and medial moraines. 46. Describe clearly the nature and mode of production of an unconformity. Mention the geographical and geological position of some important unconformities in England. 47. Mention the characteristic fossils of the following formations - Silurian, Devonian, Cretaceous. 48. Give what you know of the systematic position and geological occurrence of each of the following genera - Aviculopecten, Cidaris, Favosites, Hamites, Monograptus, Nummulites, Plesiosaurus, Schizodus, Trinucleus. 49. What are the following and in what geological periods have they flourished - Ammonites, Graptolites, Trilobites, Lepidodendra, Ganoid Fishes, and Rugose Corals? 50. Name the chief land and freshwater formations of England, and assign them to their proper position among the stratified rocks and mention some of their characteristic fossils. 51. Write a brief sketch of the order of succession of the strata, their distinctive features, and the nature of their included organisms in one of the following areas: the Isle of Wight, the Mendip Hills, Norfolk, the Yorkshire Coast, the Lake District. 52. In which formations are following fossils found - Trilobites, Graptolites, Lingula, Ichthyosaurus, Belemnites, Nummulites and Nautilus? 53. Where, and in what geological periods, has volcanic action been prevalent within the British area? 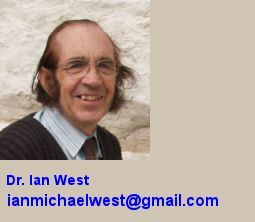 Copyright © 2012 Ian West, Catherine West, Tonya West and Joanna Bentley. All rights reserved. This is a purely academic website and images and text may not be copied for publication or for use on other webpages. Images and text cannot be used in any commercial activity, or any activity involving any financial gain. A reasonable number of images and text may be used for unpaid, non-commercial academic purposes, including free field trip handouts, lectures, student projects, dissertations etc, providing source is acknowledged. Disclaimer: Geological fieldwork involves some level of risk, which can be reduced by knowledge, experience and appropriate safety precautions. Persons undertaking field work should assess the risk, as far as possible, in accordance with weather, conditions on the day and the type of persons involved. In providing field descriptions and guides on the Internet no person is advised here to undertake geological field work at any specific place or in any way that might involve them in unreasonable risk from cliffs, ledges, rocks, sea or other causes. Places need not be visited and the descriptions and photographs here can be used as an alternative to visiting. Individuals and leaders should take appropriate safety precautions, and in bad conditions be prepared to cancel part or all of the field trip if necessary. Permission should be sought for entry into private land and no damage should take place. Attention should be paid to weather warnings, local warnings and danger signs. No liability for death, injury, damage to, or loss of property in connection with a field trip is accepted by providing these websites of geological information. Discussion of geological and geomorphological features, coast erosion, coastal retreat, storm surges etc are given here for academic and educational purposes only. They are not intended for assessment of risk to property or to life. No liability is accepted if this website is used beyond its academic purposes in attempting to determine measures of risk to life or property.